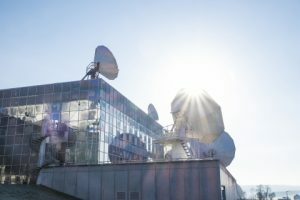 NBC Olympics, a division of NBC Sports Group, has selected SES to provide 4K High Dynamic Range (HDR) satellite distribution for its production of the Winter Games in PyeongChang, South Korea, from Feb. 8-25. The announcement was made today by David Mazza, CTO & SVP, NBC Olympics and Steve Corda, Vice President, North America Media Platform, SES. “NBC Olympics is pleased to work with SES to offer 4K HDR coverage of the PyeongChang Games to our valued distribution partners,” says Mazza. “We are pleased that NBC has entrusted SES again, similar to the 2016 Summer Olympics, to help deliver the 4K programming for these Olympic Winter Games,” says Corda. NBC’s 4K HDR coverage of PyeongChang 2018 will be made available on delay, and will include 4K footage from the opening ceremony, hockey, figure skating, short track speed skating, ski jumping and snowboard big air competitions. Up to four events from the previous day’s competition will be provided daily from Feb. 10-26.